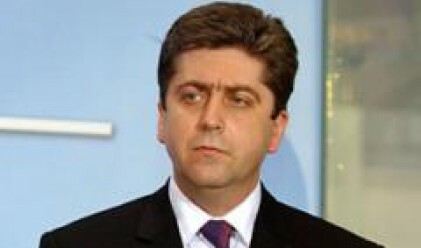 President Georgi Purvanov was received Tuesday by his Chinese counterpart Hu Jintao, the Bulgarian Foreign Ministry said. Attending the meeting were also Chinese Minister of Foreign Affairs Yang Jiechi, Bulgarian Ambassador in China Georgi Peichinov, diplomats. Purvanov is in Beijing attending the summer Olympic Games, BTA is reporting. President Hu Jintao thanked his guest about the valuable help Bulgaria rendered to his country after the May 12 devastating earthquake in Southwest China. The Chinese President said that the gesture is an expression of the deep friendship between the two governments and peoples. Chinese children from the region of the earthquake are currently on a summer holiday in Bulgaria as part of the help Bulgaria provided to China. President Hu Jintao assessed in highly positive terms Bulgaria's consistent effort for developing two-way relations. The two presidents were unanimous that the bilateral economic relations develop well. Two-way commercial exchange exceeds 1,000 million U.S. dollars and is growing. The participants in the meeting discussed the celebration in 2009 of the 60th anniversary of the establishment of the Bulgarian-Chinese relations and the events to mark it. President Hu Jintao accepted the invitation to visit Bulgaria next year.